Quiet as It’s Kept is an album by American jazz drummer Max Roach featuring tracks recorded in 1959 and released on the Mercury label. Max Roach’s post-Clifford Brown ensembles became more experimental down the road, but this 1960 band, with the brothers Tommy and Stanley Turrentine, and Julian Priester, was short-lived, very satisfying, and one of the most memorable combos the drummer led. Continuing to concentrate on hard bop themes, the band is hardly quiet as the title would suggest. It perhaps could be said that this band was a sleeper in not being as recognized as the superior collective talent would indicate. Perhaps the obscure bassist Bob Boswell has something to do with it, or that the front line would find their niches in jazz well past their membership in this fine combo. 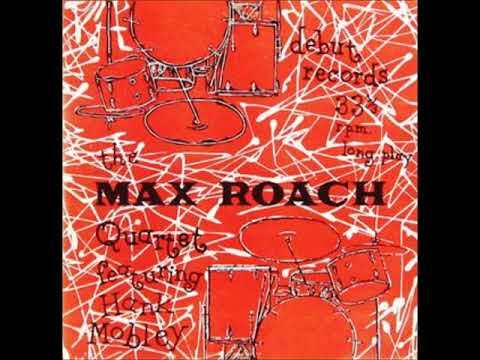 Of course Roach’s drumming is far beyond reproach, but it is his choice of material and their composers that have to strike even the most literate jazz head as quite daring. The bouncy title track written by Bill Lee with its happy counterpoint and unison lines, the fleet Kenny Dorham evergreen “Lotus Blossom” embellished in held or stretched melody lines, and Priester’s “Juliano” are all extension of the mid-’50s hard bop that Roach helped to found, the latter tune contrasting Tommy Turrentine’s bright trumpet with the trombonist’s mushy sound. Brother Stanley Turrentine’s tenor sax is featured extensively on this set, proving a quite able bopper in his pre-soul-jazz days. For “The More I See You” his easygoing, restrained tone exudes more in what he doesn’t play than what he does. On the original, first recorded version of the eventual standard “As Long as You’re Living” in 5/4 time, Boswell’s bass leads as the three horns fill in the cracks and accent beautifully. Leon Mitchell’s ballad tribute to Billie Holiday, “To Lady,” is the feature for Tommy Turrentine’s soulful trumpet, the perfect example of the unsung hero and his voicings that were never fully acknowledged. Only one other album (the Enja release Long as You’re Living) from this band was issued with some different material, but they stand together as brief monuments from a group unique unto itself, and a transitional band in the history of Roach’s long tenure as a leader.